Living on a college student budget does not make trying to eat healthy and be a veterinarian easy. Being on a college student budget for groceries does not make being a vegetarian easy. Since my senior year of high school, I have been a vegetarian and I never had a hard time until college came around. Living at home and having your mom make you dinner, especially a vegetarian one, is a blessing I took for granted. Now that I have to juggle paying for bills, gas, and groceries every week, it makes it so much harder. We all know how expensive fruits and vegetables are, and having a budget of $30-$50 a week for food limits the amount of food you can get for your money. Yes, there are alternatives to eating meat, but the substitutes like veggie patties and veggie burgers are still rather pricey. Don't even get me started on trying to find a decent meal while living on campus, and having to pray they make a vegetarian option for dinner. Salads get boring after a while and having carbs for every meal isn't healthy. It is sad that we live in an age where healthy foods are still so much more expensive than a burger or fries, and converting back to having meat again just isn't an option. Pasta is amazing, but try having it for every meal. Going out to eat is also a struggle because fast food is geared towards people who eat meat, so finding something other than a salad on the menu is a hit or miss. No one likes having to be the one to always have to say, "If we eat there, is there something I can actually have?" or being at a restaurant and realizing there's nothing there for you besides soup or a salad. Not liking or eating meat is a struggle. Some vegan foods I recommend to everyone I know because they're just that good. Over the two years I've been vegan, I've tried some not-so-tasty vegan foods, and I will admit that. But, I've also had some of the best food I've ever had in my entire life, even before I was vegan. Here are X vegan foods that, as a non-vegan would say, don't "taste vegan." Oh my days, this stuff is heavenly. Crunchy, crispy, sweet, salty, and, in case you're wondering, vegan. 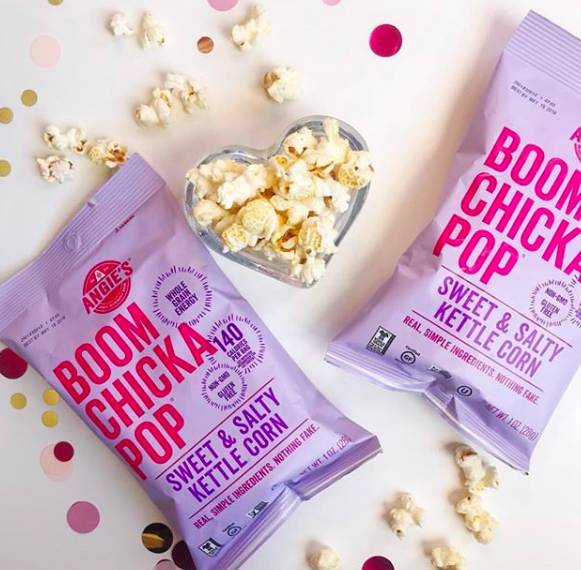 This snack is also gluten free, kosher, non-GMO, whole grain, and free of high fructose corn syrup. The first package of these I bought disappeared in a few hours. They're hundreds of levels above the regular chocolate creme filled Oreos. Imagine the cream on the inside of the cookie was just as chocolatey and rich as the cookie itself, and just a touch sweeter: that's what the dark chocolate filling tastes like. Seriously, these are so freaking good. This is, hands down, my favorite ice cream on the planet. Chock full of chocolate covered cashews, layered with ribbons of salted caramel, and loaded with more chocolate chunks, all stirred into a creamy, dreamy delightful cashew-based frozen dessert, this "ice cream" is a salty and sweet lover's fantasy come true. Imagine the most chocolatey chocolate ice cream you've ever had. Take that, make it more chocolatey, and throw in über-chocolatey brownie chunks. Then you'll have this almond-milk-based treat. Without a doubt in my mind, this is the best chocolate ice cream I've ever had. And I've had dark chocolate gelato on the backstreets of Pompeii. This beats it. 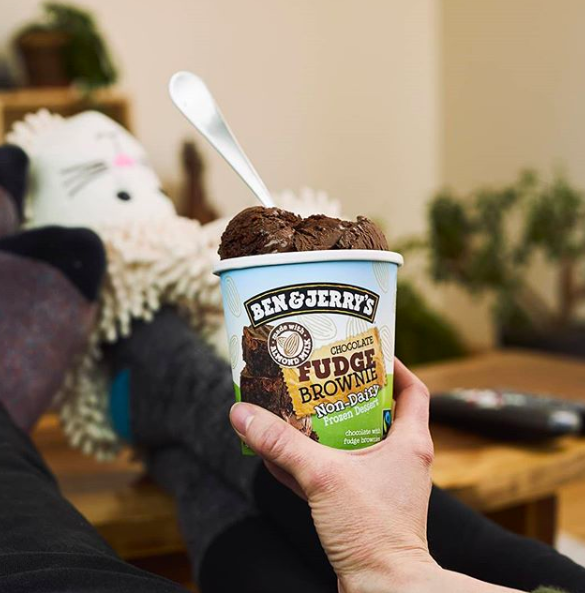 Bonus, Ben & Jerry's supports fair trade farmers with their sugar, cocoa, vanilla, coffee, and bananas, and uses non-GMO ingredients. 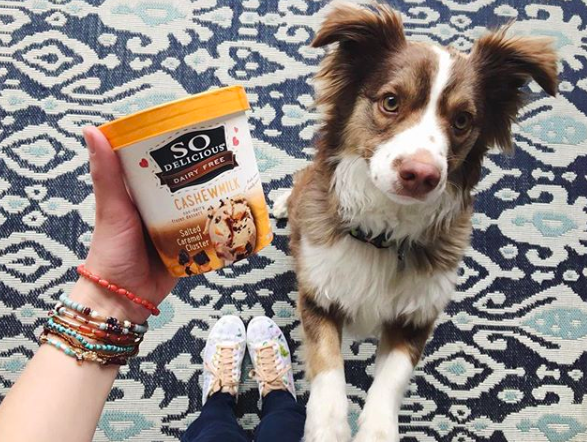 Even if you're a vegan-dessert skeptic (which you shouldn't be) Ben & Jerry's also uses cage-free eggs and implement a program they call "Caring Dairy" to ensure that even their non-vegan products keep in mind the importance of our animal friends. These are the closest thing to Cheetos in a vegan diet... except they're better than Cheetos, if you ask me. These are non-GMO, kosher, gluten-free, and free of both soy and nuts, so they're suitable to pretty much any allergen restriction or diet. They also have a high protein and fiber content. This is just super delicious chocolate milk, without any nasty hormones or cholesterol and it's also soy free. Need I say more? The absolute best dairy-free alternative for dairy is oat milk. There, I said it. I honestly prefer the taste of it to all milks, animal- or plant-based. 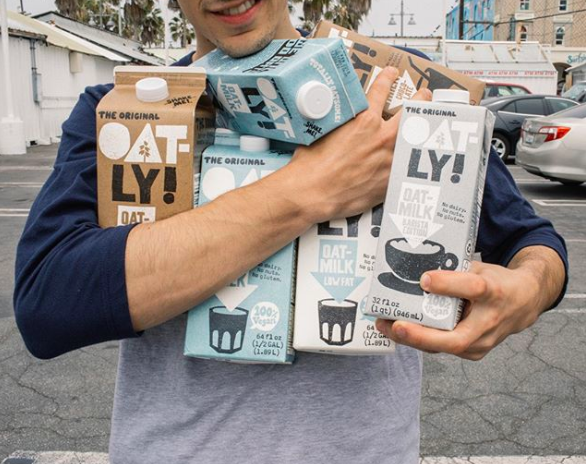 It's got a taste you can only understand if you've tried it, and Oatly makes the best oat milk. It's perfect for coffee, in a smoothie, in cereal, or on its own. It's that good. 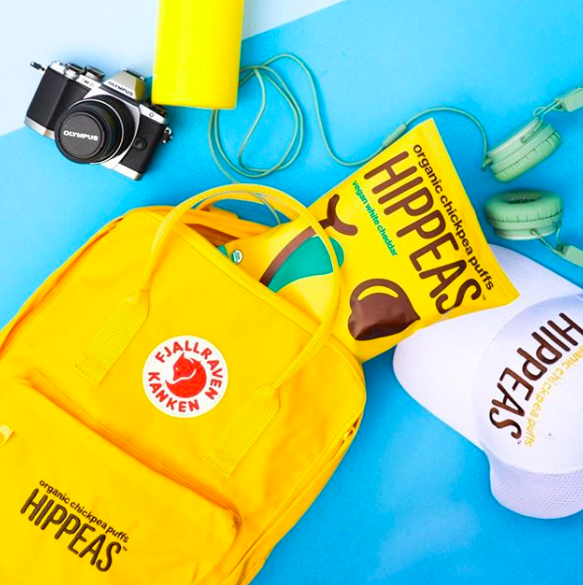 Of course, there are plenty of other vegan foods everyone can enjoy, like guacamole, french fries, plain potato chips... the list could go on. However, these are seven things that are vegan that, if you haven't tried, I suggest you run to your nearest grocery store to try. Now.